Chiropractors routinely survey patients to obtain feedback on their services, however the questionnaires used for this activity are not always validated. 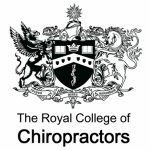 If you wish to actually use this questionnaire for your patients, please contact the College central office at sandra.tigwell@rcc-uk.net to obtain a specific link for your clinic which you can then email to your patients. Alternatively, some clinics use a tablet, such as an iPad, so that patients can complete the questionnaire in the clinic. The data obtained using this system is collected centrally and, as a special membership benefit, analysed and forwarded to you as a range of formatted excel and pdf files which include pre-prepared charts. Participants are encouraged to openly publish the feedback data on their websites.